Sometimes I crave this kind of casserole. Normally they are made with lots of condensed this or that along with hamburger and noodles. I have to admit that this casserole is that; but with a difference. I actually looked for heathy canned condensed soups. Here are two that I found. 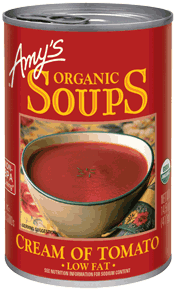 Amy’s Organic Cream of Tomato Soup has all natural ingredients. It does cost more than Campbell’s but I feel it is worth it. 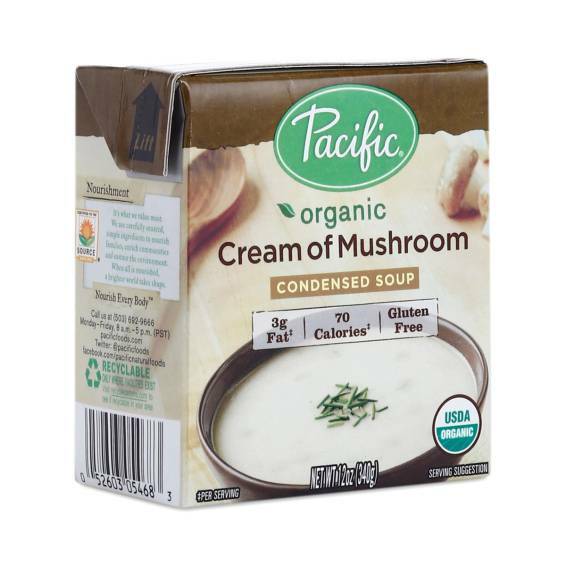 Pacific Organic Cream of Mushroom Soup is also a good choice. Both companies have both cream of tomato and cream of mushroom. Tomorrow is election day. We all need to make our voices heard. 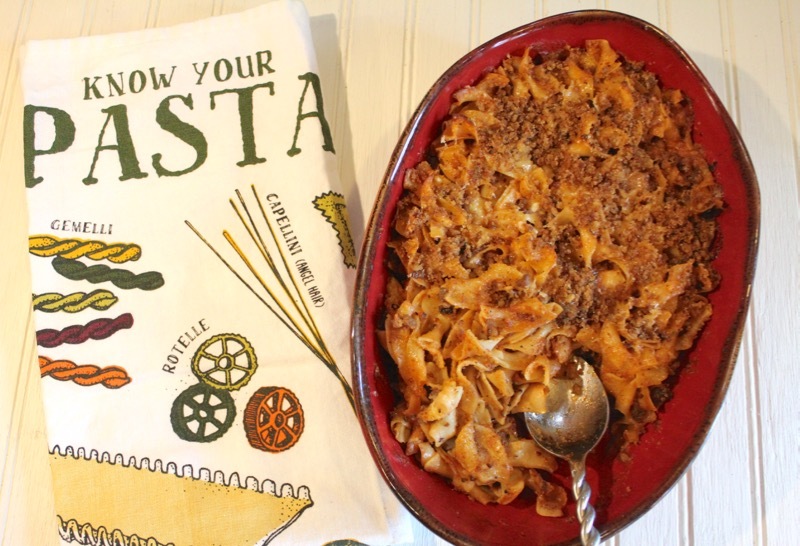 This Tomato Beef Country Casserole is an easy meal to put together. Then sit back and watch the results. I will be glad to get this election behind us. Posted on November 7, 2016 at 8:14 am. I love this riff on an American hamburger from a French chef. As related by Dorie Greenspan in her book Around my French Table, her friend Helene Samuel is responsible for it. 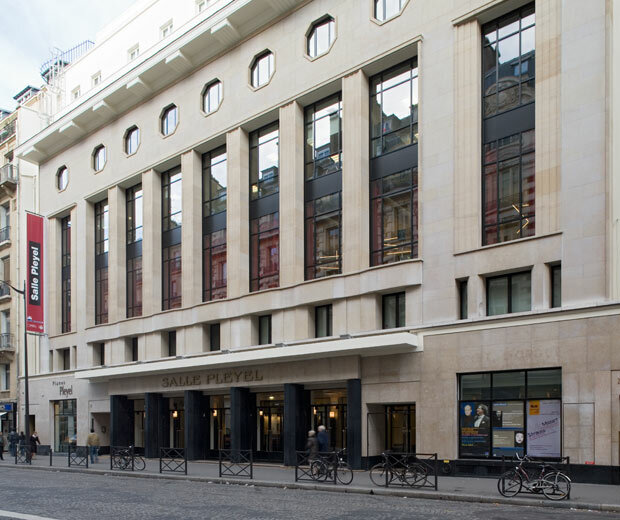 She created the cafe’ in the newly renovated Salle Pleyel Concert Hall in the 8th Arrondissement. She wanted to put a hamburger on the menu that would appeal to French people who sometimes equated hamburgers with the McDonald’s version. 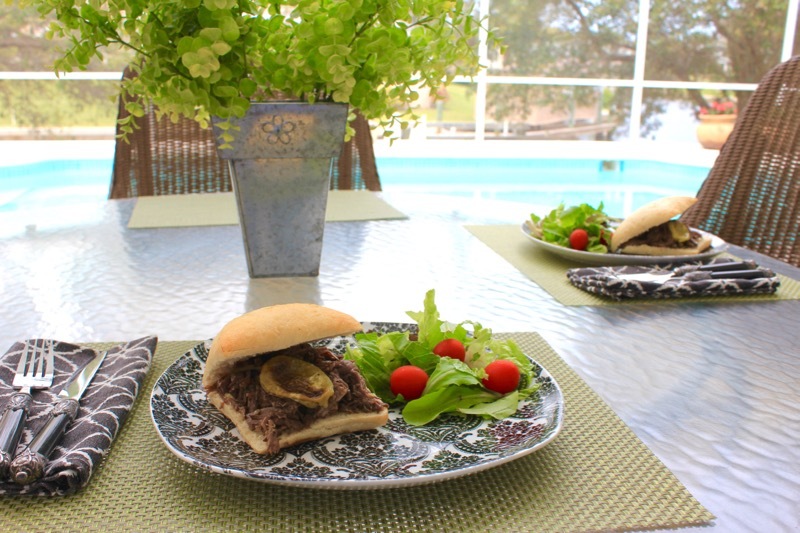 It has the bun and the pickle, but it has very French ingredients worked into the meat and topping; capers, cornichons, tarragon, sun-dried tomatoes and a red onion marmalade. Instead of the American cheese it is garnished with shards of Parmesan. It all sounded excellent to me. 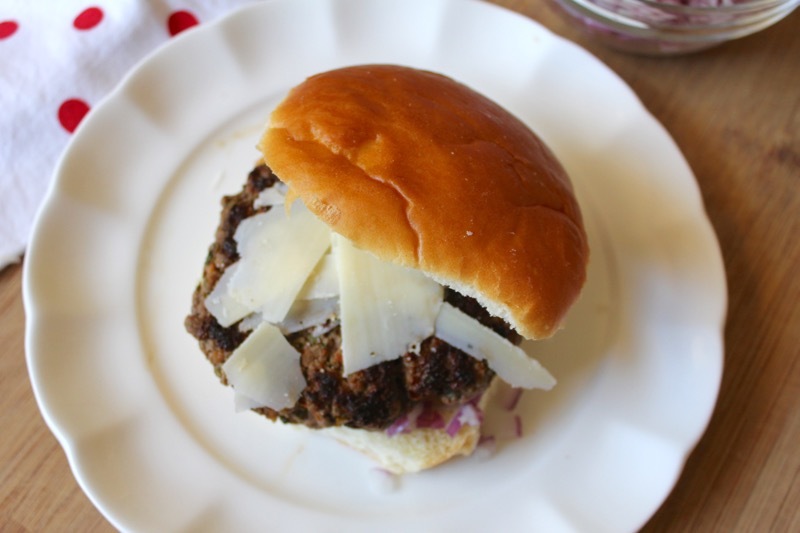 The burger became a best seller and ended up being featured in The New York Times. I think you will agree that this is a worthy burger with French overtones. The only thing mine was missing was the sesame seed bun. Helene included that as an homage to the American version. In a small saucepan, combine red onion with butter, coriander and 1 cup water and season with salt and pepper. Bring to a boil, then simmer over medium heat, stirring occasionally, until mixture is reduced to 1/2 cup, about 30 minutes. Meanwhile, in a small food processor, pulse sun-dried tomatoes with capers, cornichons, tarragon and parsley until finely chopped. In a medium bowl, lightly mix meat with sun-dried tomato mixture and season with pepper. Shape meat into 4 patties about 3/4 inch thick. Heat olive oil in a large cast-iron skillet over medium-high heat until just smoking. Add burgers and cook for about 2 minutes on each side for rare or 3 minutes for medium rare. 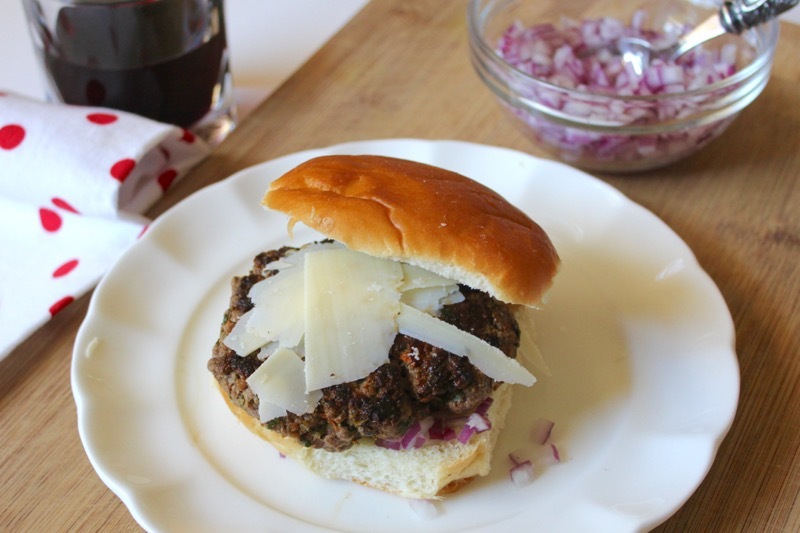 Transfer burgers to a platter and top with Parmesan. Lightly toast buns. 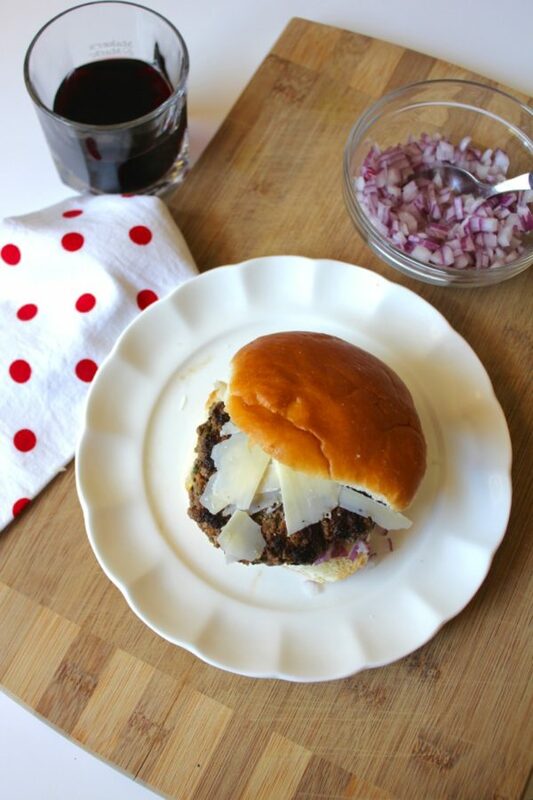 Spread a thin layer of onion jam on bottom buns. Top with pickle slices and burgers. Cover with top buns and serve. Posted on September 6, 2016 at 10:59 am. This is a recipe with a long history. 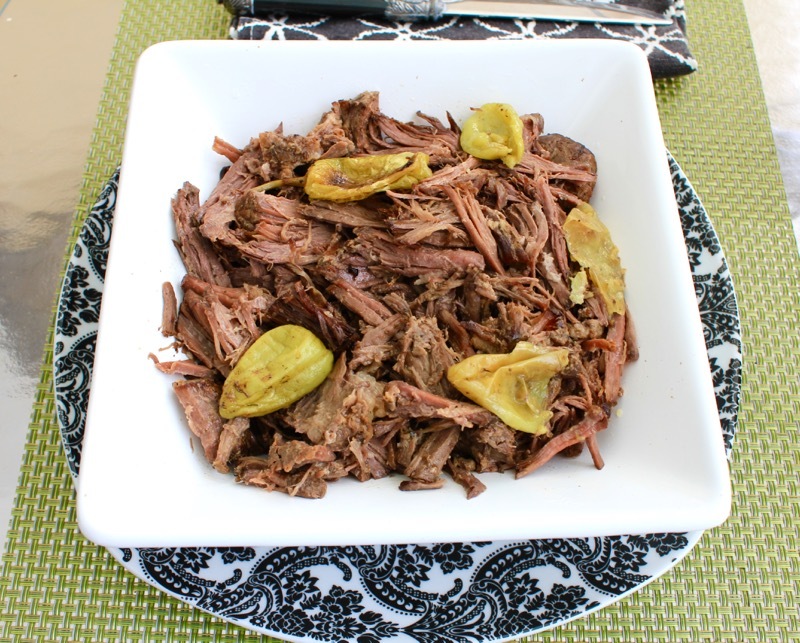 About 15 years ago Robin Chapman from Ripley, Mississippi made this roast in her crock pot. It required a stick of butter, dried ranch dressing mix, dried “au jus” mix and a few pepperoncini. As most good recipes do, it was passed around, eventually landing in a church cookbook. But when it hit the Pinterest boards it went viral. I can appreciate that fact because my Crock Pot Teriyaki Chicken did the same thing with thousands of pins. But what brought the Mississippi Roast to my attention, was an article in The New York Times. This recipe had hit the big times. I was kind of wondering why The New York Times would be publishing a recipe with such weird and artificial ingredients. But it turned out that the back story of the recipe was the real reason for sharing it. You can read it here. And true to their beliefs in more sophisticated ingredients, Sam Sifton modified the recipe cutting down on the butter, increasing the number of pepperoncini, and making a homemade ranch dressing to slather over the top of the roast. 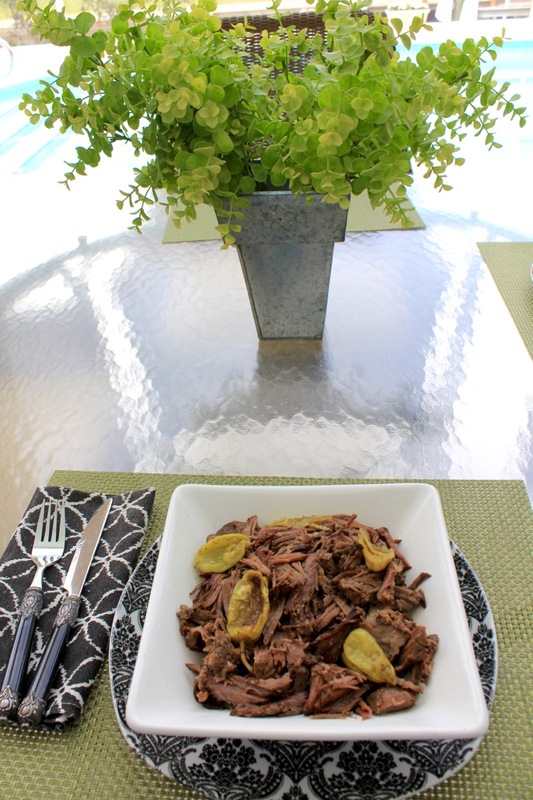 The New York Times version of the Mississippi Roast is the one that I prepared on the day before we left our Florida house for our return to North Carolina. It was a beautiful Spring day and it seemed fitting that we should eat outside. 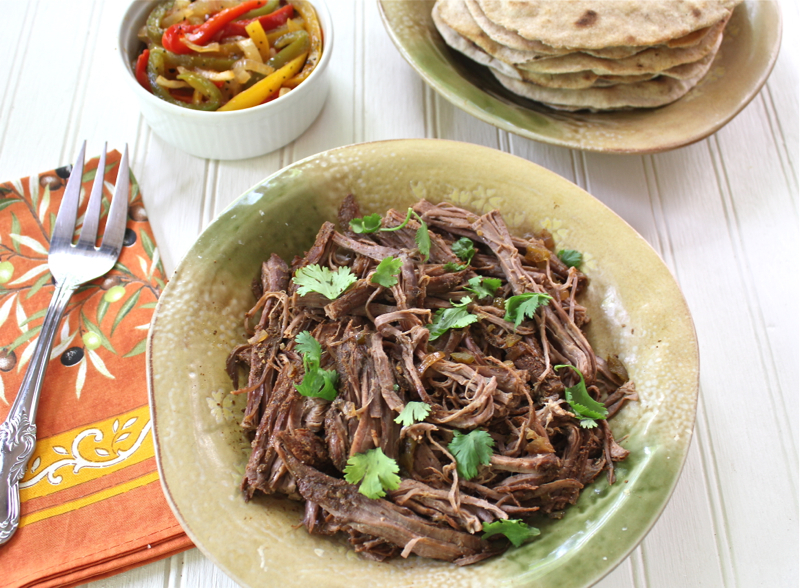 The shredded beef can be served with mashed potatoes or buttered noodles, but I decided to make sandwiches with it. This a very good roast indeed. Happy Easter Everyone! 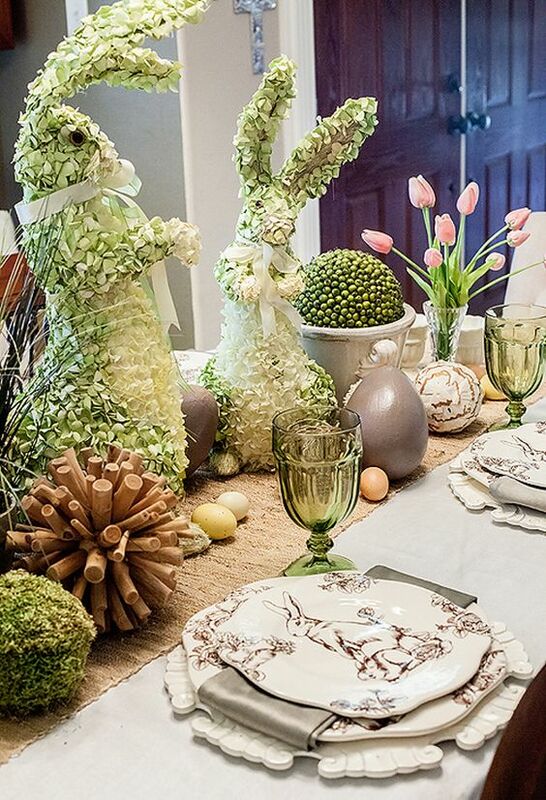 I saw this table arrangement on Pinterest. Thought you might like it. As the roast heats, make a ranch dressing. Combine the mayonnaise, vinegar, dill and paprika in a small bowl and whisk to emulsify. Add the buttermilk if using, then whisk again. 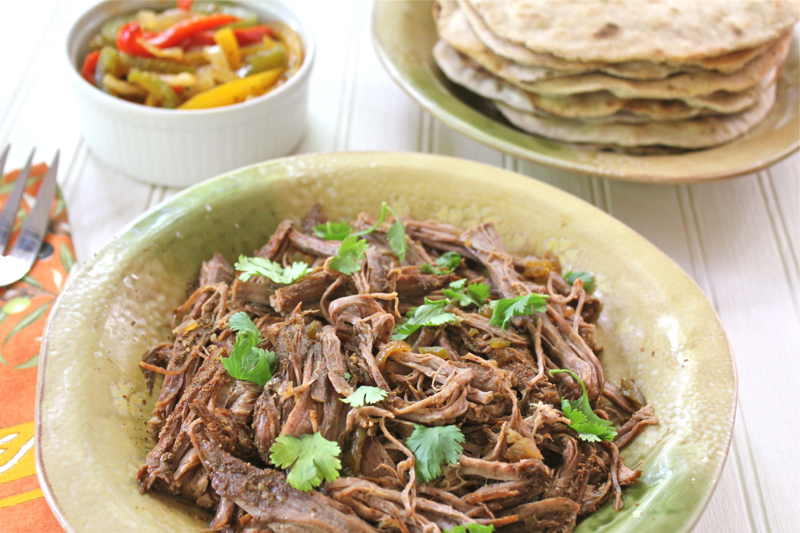 Remove the lid from the slow cooker and add the dressing. Replace the top and allow to continue cooking, undisturbed, for 6 to 8 hours, or until you can shred the meat easily using 2 forks. Mix the meat with the gravy surrounding it. Garnish with parsley, and serve with egg noodles or roast potatoes, or pile on sandwich rolls, however you like. Posted on March 27, 2016 at 6:58 am. 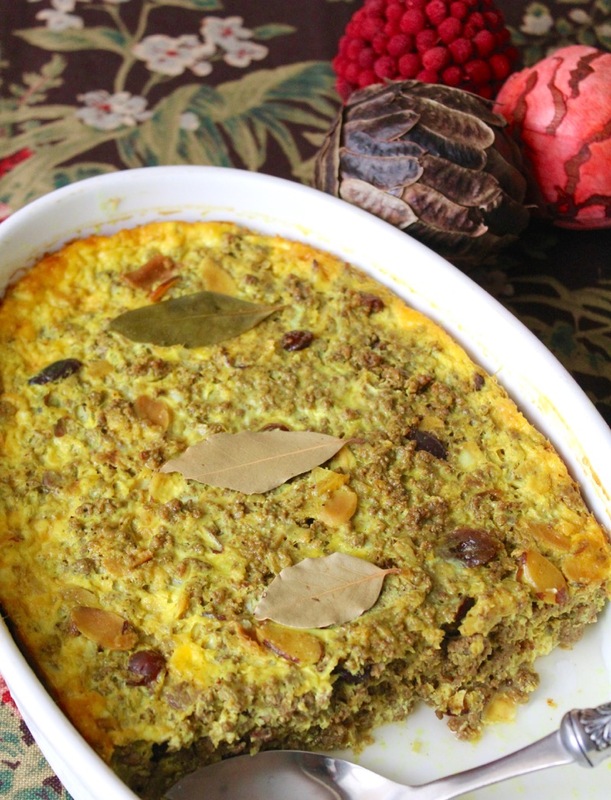 Bobotie (pronounced bo-bo-tie or bo-boo-tee) is my first foray into South African cuisine. South African food is influenced by the native population and the Dutch, French, Indian and Malaysian immigrants. The resulting dishes are complex and exciting to the palate. Bobotie is the national dish, thought to be introduced by the Malaysian and Indian servants during Colonial times. Curry and turmeric have always been important spices in Indian cuisine. 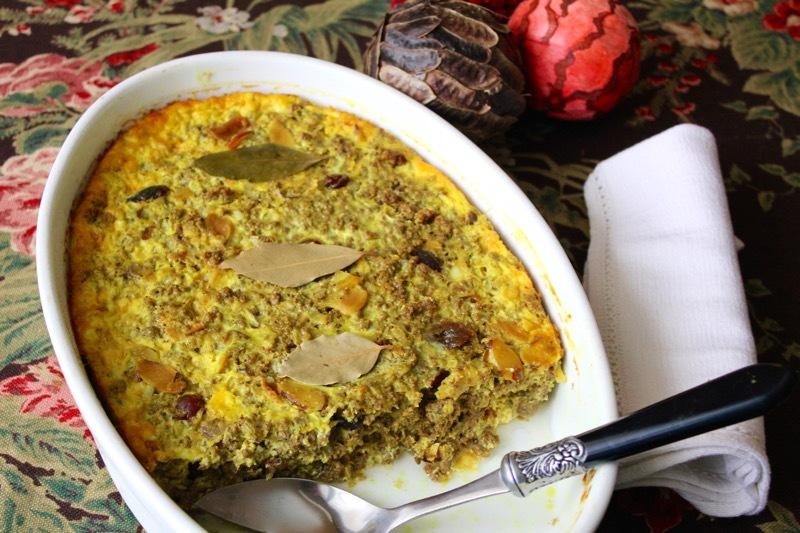 In Bobotie, minced meat is simmered with the spices, almonds and dried fruit, then topped with milk and eggs and baked until set. It is similar to a Greek Moussaka. I have always been fond of curries. 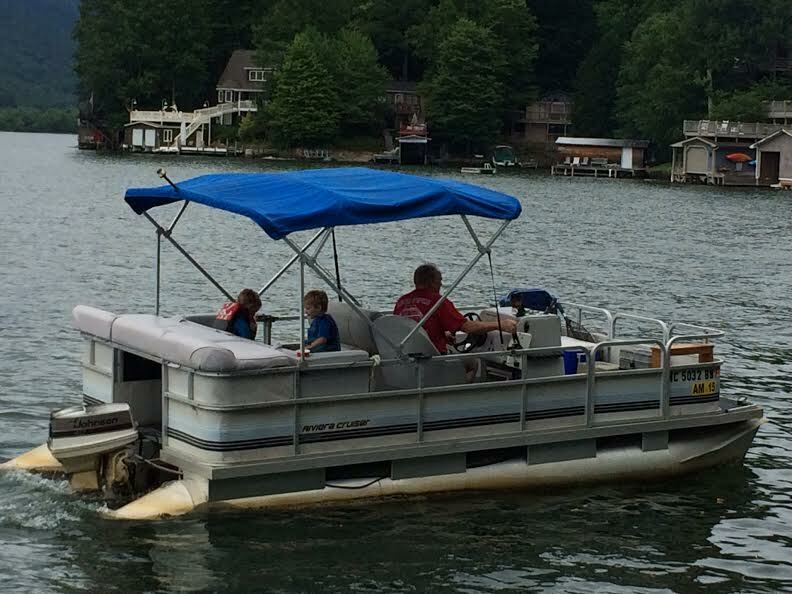 We had several acquaintances from India through David’s job as an engineering professor. Dinner parties in their homes always included flavorful and interesting dishes. One Indian friend came to my home to teach me several Indian dishes including dal and saag, which is a dish using mustard greens. 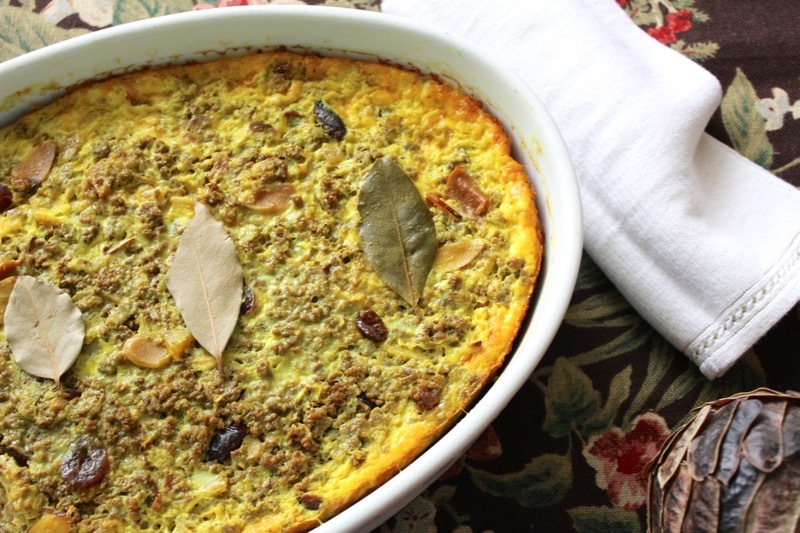 So when I saw this recipe for Bobotie, I knew that I would love it. There are so many complex flavors in it. The curry is there, but you can also taste the sweet dried fruit, the crunchy almonds, the hot chutney and the mild custard. It is a perfect make ahead dish for company; something a little different. Our Midwest and East coast is supposed to get a major snow storm this weekend. 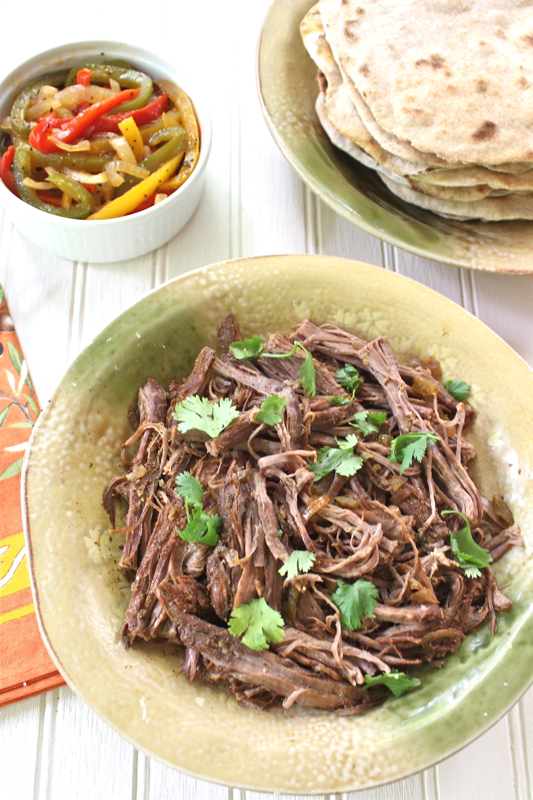 This would be a great warming oven dish to serve with Cinnamon Basmati Rice with Golden Raisins. Winter is the best time for arm-chair or kitchen-stove travel. South African cuisine is very colorful, spicy and sometimes amusing. One of the roadside dishes that you can get in South Africa is grilled chicken feet and heads. It is called Walkie-Talkie. Think I will stick with Bobotie. 1. Preheat oven to 325 degrees. Heat a large skillet over medium-high heat. Add oil, then onions, apple, and ginger; season with salt. Cook, stirring occasionally, until onions are golden brown and tender, about 15 minutes. (Reduce heat if vegetables brown too quickly.) Add turmeric and curry powder to onion mixture; stir to combine. Add beef and cook, breaking up large pieces with a wooden spoon, until cooked through, about 10 minutes. Stir in almonds, and cook for 2 minutes more. 2. Tear bread into large pieces, and place in a small bowl. Add 1/4 cup milk and 1/2 teaspoon salt, and let stand until milk is absorbed. Add bread mixture to beef, and cook, stirring frequently, until bottom of pan begins to brown, 1 to 2 minutes. Stir in dried apricots, apricot preserves and chutney, scraping up browned bits from bottom. Remove from heat, and season with salt and pepper. 3. Spoon beef mixture into a 6-cup shallow baking dish. Whisk eggs, nutmeg, lemon zest, and remaining 1 1/2 cups milk in a medium bowl. Pour over beef. Place bay leaves in dish, pressing into filling. Bake until set around edges and center is no longer runny, 35 to 45 minutes. Let stand for 15 minutes before serving. Serve with Cinnamon Basmati Rice. Posted on January 19, 2016 at 2:05 pm.